Want deep brown hair? 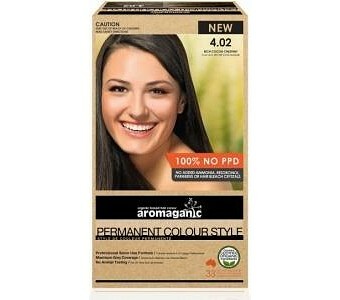 Aromaganic 4.02 Rich Cocoa Chestnut permanent hair colour contains certified organic ingredients that will give you shiny, long-lasting hair colour. Easy-to-use and gentle on the hair and scalp, this professional salon formula is suitable to colour natural or already coloured hair. In just 30 minutes, you'll see the dramatic transformation that leaves your hair feeling soft and looking luminous. 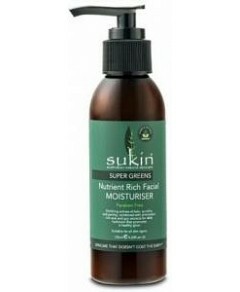 Ammonia-free 100% full grey hair coverage Free of PPD No resorcinol No parabens Suitable for all hair types Contains twelve natural oils and extracts: Aloe vera, apricot, grape seed oil, grapefruit, jojoba, lemon, mandarin, peach, shea butter, soya bean, sunflower, and wheat.